This letter was written by Pvt. 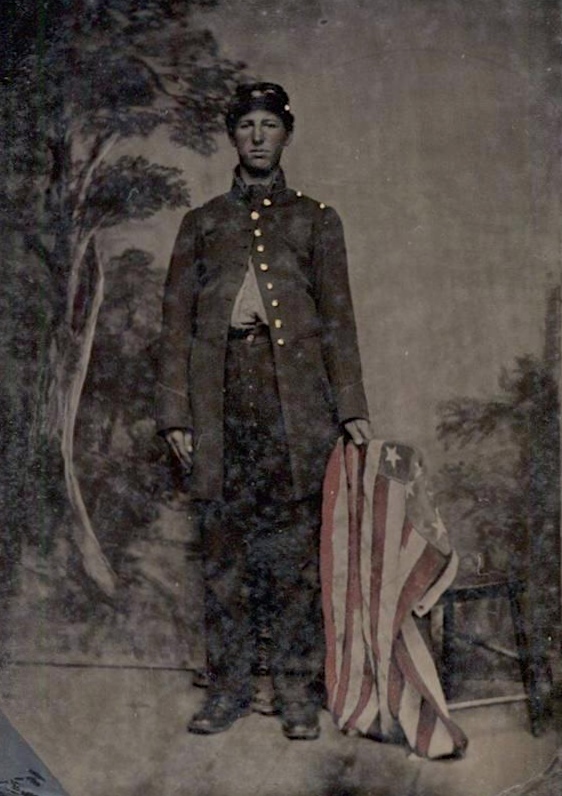 William Wallace Smith (1838-1875) of Co. B, 22nd Massachusetts Infantry. William was the son of Ebenezer Smith (1799-Aft1855) and Ann (Bruce) Smith of Needham, Massachusetts. William married Laura A. Drake, the daughter off Hiram and Harriet P. Drake of Lowell, Massachusetts in July 1868. 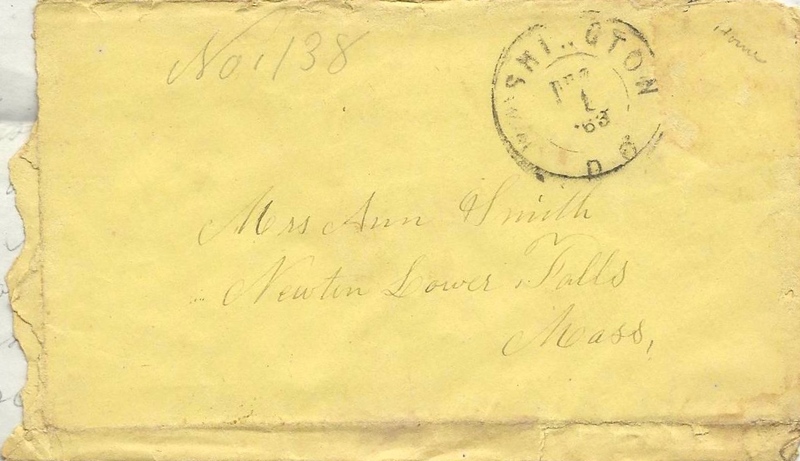 Smith’s letter contains a description of the 22nd Massachusett’s involvement in the Mine Run Campaign of late November 1863. The 22nd Massachusetts was brigaded with the 18th Massachusetts, the 1st Michigan, and the 118th Pennsylvania under the command of Col. William S. Tilton in Bartlett’s Division of Sykes’ 5th Corps. Here we are a played out, workout army. Pack up. Pack up. Pack up. Just got so much wrote the other day and the bugles began to blow pack up so we moved camp. The next day I worked for the Captain all day and yesterday had to attend line inspection in the forenoon and come on picket in the afternoon. The 24th of November we started to march. It rained like fun and we went about a mile and a half and come back again. Thanksgiving day we started again. Crossed the Rapidan and stopped for the night within 5 miles of our old battleground of Chancellorsville. Started the next morning and marched to Orange Court House. On the road about 100 Reb Cavalry dashed in on our wagons about 40 rods in our rear and run off (with) between 20 and 30. You ought to have seen Co. B, E, K & Sharpshooters of the 22d double quicking through the woods with knapsacks on chasing them up. We followed them up so close that they had to burn up a lot of the wagons. We recaptured 4 and those we pulled out of the burning train by hand with the ammunition burning on all sides of us wagons blowing up and shells exploding on all sides and within 5 feet of us. The Generals arrived at the conclusion that they should lose too many men for no purpose by charging ² so drew off again in the evening. [We] laid the next day in front of them, everything quiet, and in the night marched back across the Rapidan and we have moved round now till we are on the north side of the Rappahannock, guarding the railroad. Our corps (the 5th) is scattered from the Rappahannock to Centreville guarding the railroad. All the rest of the army is on the other side of the river. Enclosed you will find $5 to pay for those gloves & shirts. I think the best way will be to roll them up snug and small as possible and send them by mail but you may do as you think best. Out Quarter Master is Lieut. H. A. Royce. As regard stockings, I am going to send for a box when we get settled in winter quarters and will have some then. ² The attack was called off by Major General Gouverneur K. Warren who noticed that the Confederates had significantly improved their positions during the night. Meade was initially angered that the attack was called off but later supported the decision by Warren. Ironically, though it was Warren who made the decision, Meade was later praised by the army for the decision not to carry out the senseless charge. This entry was posted on Saturday, June 28th, 2014 at 1:30 pm	and posted in Uncategorized. You can follow any responses to this entry through the RSS 2.0 feed.